4) Support act for live show. 5) onesongaweek on an advert!? 7) ‘Flaws & Ceilings’ featuring Lauren Aquilina. 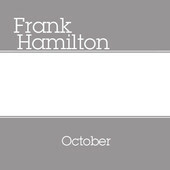 October EP now released and available on iTunes. Yesterday (Thursday) afternoon at about 5pm the song for week 45 (which is probably going to be called ‘Flaws & Ceilings’) took a slight detour. Originally it was going to be a solo, acoustic guitar tune but then I decided it might sound better on piano. Then I realised I’d used a line in it that was actually written in a session with someone else (so I had to check with them) and then I realised the whole thing would work really nicely as a duet (and set about racking my brains and making phone-calls). ‘Flaws & Ceilings’ will be released on Tuesday (which is technically in week 46) so for one week and one week only you’ll get two songs. This isn’t ideal and I am sorry you’ll have to wait a few days… but I promise it’ll be worth it. Some of you have been sending in ideas and concepts for a song we’re going to try and write together… and I’ve decided that week 52 would be a nice week to release it. Furthermore, we’re currently trying to work out a way of recording this live at the #onesongaweek gig on December 20th – which would obviously involve those in attendance singing along and featuring on the recording. More news on whether we’re able to make that happen soon. In the meanwhile get your ideas/concepts/song titles sent in (if you haven’t already) to onesongaweek@mail.com Nothing too deep, mind… we want to end the year on a reasonably happy note, right? 4 – Support Act for the #onesongaweek live show. I’m super chuffed to tell you that my support act for the first and last onesongaweek live show will consist of two chaps who go by the names of Mark Grist and Mixy. When they go on stage together they become spoken-word duo ‘The Dead Poets‘ and as a massive fan myself I’m delighted to have them aboard for what’s shaping up to be an utterly mental evening. Tickets here. 5 – #onesongaweek on an advert. I woke up at 8 (EIGHT) am this morning. So early that I feel justified spelling it out in capitals like they do on the football results when a team defies all odds to score 8 (EIGHT) goals. The reason I woke up early is because the lovely Lauren Aquilina arrived at my house to sing the female part on this weeks song. Since working with Lauren back in week 29 she’s released her first ever record (Fools EP) which has quite literally taken over the world (number 1 in Malta, how cool is that?!) so it was a lovely surprise when she replied to last weeks cry for help and offered her vocal services for the #onesongaweek cause. She was also involved in the writing of this song a tiny bit, too. Back in week 29’s session a lyric about walls was coined which we both really liked but couldn’t work in to the song. That lyric (like many others) has spent 15 or so weeks floating around, feeling ignored and unloved… before eventually finding itself a tidy home for life. From a production point of view I’ve really enjoyed having a few extra days to live with the track (while waiting for Lauren’s vocal) and I think it probably shows. A very important part of making (especially mixing) music is the time you have away from it – in which your ears and brain are allowed recover/de-clutter. Needless to say this #onesongaweek lark, with it’s weekly Friday deadline, hasn’t allowed much time for that. Anyway, enough words. I need to start working on week 46 (to be released in a mere 72 hours). Cripes. will I still be yours will you still be mine. And i’m thinking in a few years time will I still be yours will you still be mine. A thousand percent my favourite yet – seriously brilliant! And it has finally introduced me properly to Lauren Aquilina’s music (I stopped being lazy and looked it up)…. wow…. This morning my cousin let me hear the pick of the week on itunes, your ‘Flaws & Ceilings” it has followed me around all day. A beautiful song. May the force be with you on your journey. Fantastic song! What would the chances be of ever releasing this as an instrumental track? Only just discovered you by accident by the fantastic Lauren… Awesome amazing….far too many superlatives for one message! Great concept, great music!